This new Classic took 8 years of construction and is a new gem in the mix! 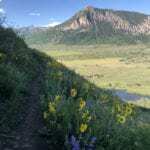 Leaving just outside of Town, it’s loved by hikers and bikers b/c it gets after it! 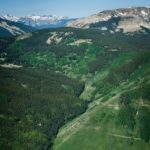 It has it all from steep climbs, gulch crossings, technical terrain, and sustainable alignment that provides magical access to some high country just outside of town. 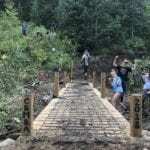 For experts, loop it up with Carbon Creek Trail #436 to connect to Ohio Creek Road, or to the Green Lake Trail for an amazing singletrack loop – door to door! 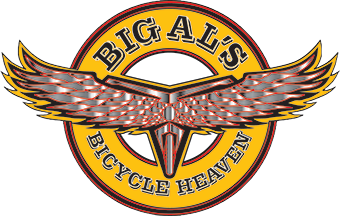 Big Al’s Bicycle Heaven is a full service bike shop in the heart of historic downtown Crested Butte. Our service area is equipped to handle any repair you throw at us, and we strive to have a good selection of parts in stock for on-the-spot repairs. We’re here to get you out on the trails, whether it be purchasing a brand new bike, buying one of our demo bikes, or renting one of our brand new rental bikes. We can provide you with trail information and give you all the beta for your next epic adventure! We also rent townies, fat bikes (winter only), and kids bike trailers and bikes.